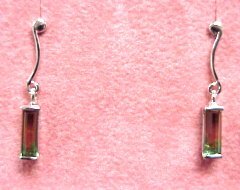 1.0CT TW watermelon quartz earrings are wonderful. They will go perfect with your favorite dinner dress or your blue jeans. 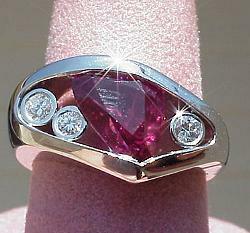 We have them available in 14K white and yellow gold with tension backs for a secure fit. UNIQUE! 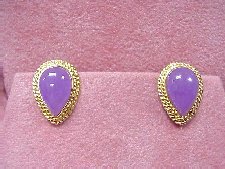 Lavender jade earrings set in 14K gold. 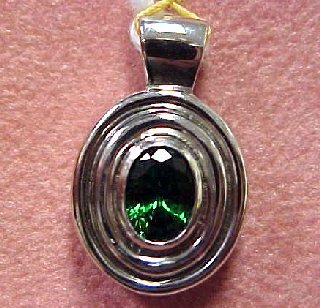 1.21CT deep rich green fine gem AAA+ oval cut Tsavorite freshly set in our signature custom series platinum solitaire mounting. This beauty comes with a lovely 18" snake necklace made of 14KW gold! 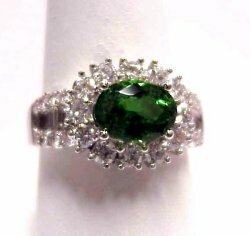 Rich dark green AAA gem quality 1.85CT Tsavorite with 1.48CT TW diamond ring mounted in 18KW gold. 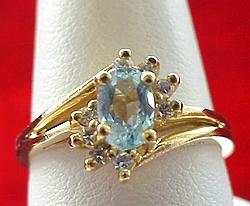 0.50CT Aquamarine with 0.15CT TW round brilliant cut diamonds of G Color, SI2 Clarity diamonds set in lovely 14K gold! 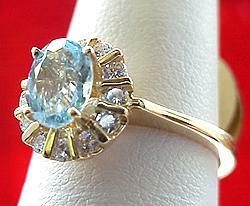 Lovely 1.0CT Aquamarine with 0.27CT TW round brilliant cut diamonds set in our 14K gold mounting. 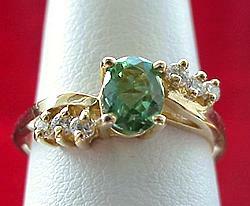 Desirable rich green AA fine oval cut Tourmaline with 0.06CT TW round brilliant cut diamonds of H Color, SI2 Clarity all set in our 14K gold mounting. 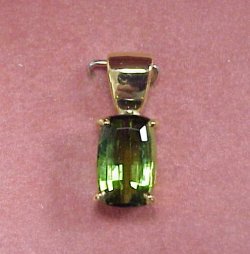 Stunning color and a magnificent cut make up this 3.61CT green Tourmaline pendant, set in a heavy 14K gold basket with an large bail to accommodate an omega necklace. 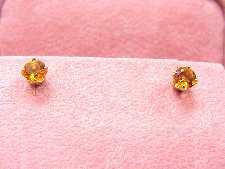 0.94CT TW AAA gem quality superb yellow Citrine earrings set in 14K gold.